Strobler opened their doors in October of 1996 in the former AJ’s location on Devine Street in the heart of Shandon, SC. 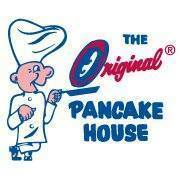 The store has been locally owned and operated ever since by George Fisher. George understands the importance of customer service and dependability, something that has helped keep him in business for over 13 years. "I live near the store, my family goes to church downtown, and my kids are in school just down the road, so we really feel like our store is not only a part of this community but also an extension of us. When you have been in business this long, you really start to develop relationships with your customers." The new showroom on Forest Drive is much larger – 15,000 square feet of accessible space for customers, including an on site clearance center and warehouse. If you need anything for your pool, spa, and patio - go to Jack Oliver Pool, Spa, & Patio! Whether it is clearing up a green pool, needing to pick-up chemicals, or help fixing a motor - Jack's has the supplies and expertise to help you. They carry the top brands at the best prices in Columbia. They also carry a full line of patio furniture and decorations for your yard and outdoor living space. They install and design new pools as well as remodel existing pools. Let them be your new construction contractor for that perfect pool you always wanted. From design to building to maintenance, they have you covered! Please visit the SERVICES page on their website for more information. Jack and Stephen can answer any question you have about your pool or spa. They have plenty of parking and are always available to answer any questions you may have. If you don't see what you are looking for, call or send them an e-mail...they probably have it! Groucho’s ® Deli of Forest Acres, SC is your neighborhood deli serving signature sandwiches that you can’t get anywhere else. Located in the central Midlands in Columbia on Forest Drive, we serve food that is fast, fresh, and original! Try our popular Dipper™ sandwiches for a culinary experience like no other. Our STP Dipper, for example, is piled with with our special blend of roast beef, turkey, Swiss cheese melt and bacon crumbs on a fat sub roll with your choice of amazing dipping sauces.. With so many sandwiches, salads, melts, and more - you’re sure to find something for everyone. The Forest Acres Restaurant & Merchant Association (FARMA) is a non-profit business organization, exclusive to Forest Acres SC, which strengthens the bonds between consumers and the community. Our mission is to be a proactive voice of business for the entire community by serving as a champion of community improvement initiatives; promoting member businesses and building relationships between members, residents, and city government; attract consumers from outside Forest Acres; and most importantly, to serve and support the residents of Forest Acres. 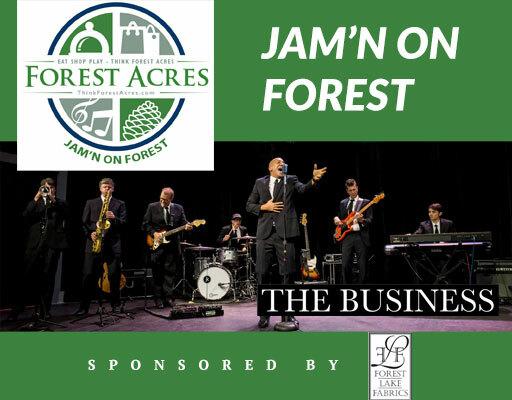 Make plans to jam at Jam’n on Forest, featuring live party, dance and rock favorites performed by “The Business!”, a seven piece party band from Asheville, NC. It all happens Saturday, May 11th from 5:30 until 9 p.m. at 3600 Forest Drive across from Richland Mall in Forest Acres! This family-friendly party offers food, drink, door prizes,…free parking…and free admission! It’s all brought to you by the City of Forest Acres where you can eat, shop and play and our sponsor, Forest Lake Fabrics! Get your jam on… at Jam’n on Forest! Lose weight fast and keep it off permanently with a fully customized weight loss program based on the results of your lab tests, how quickly you want to lose the weight and your everyday time demands. If you need anything for your pool, spa, and patio – go to Jack Oliver Pool, Spa, & Patio! Whether it is clearing up a green pool, needing to pick-up chemicals, or help fixing a motor – Jack’s has the supplies and expertise to help you. 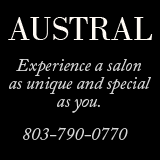 They carry the top brands at the best prices in Columbia. They also carry a full line of patio furniture and decorations for your yard and outdoor living space. Jack and Stephen can answer any question you have about your pool or spa. They have plenty of parking and are always available to answer any questions you may have. If you don’t see what you are looking for, call or send them an e-mail…they probably have it! Located in the central Midlands in Columbia on Forest Drive, we serve food that is fast, fresh, and original! Try our popular Dipper™ sandwiches for a culinary experience like no other. Our STP Dipper, for example, is piled with with our special blend of roast beef, turkey, Swiss cheese melt and bacon crumbs on a fat sub roll with your choice of amazing dipping sauces.. With so many sandwiches, salads, melts, and more – you’re sure to find something for everyone. Get updates and the inside scoop on events and the latest things happening in Think Forest Acres.